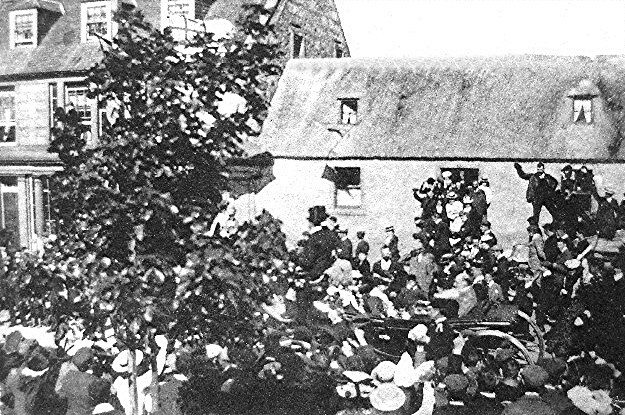 King Edward VII in Invergordon High Street, 1904. In the background is what is now the Sutor Inn. It is likely that this visit was in 1902, not 1904. Where exactly on the High Street would this be? What was the Sutor Inn prior to this? Harry, the Sutor Inn was the Rhua Hotel run by Mrs Tutten and her daughter Lilian. The smaller attached building is now the house called Varadero on the corner of the post office lane. Thanks Liz, see it now. I thought it was the Rhua but it looked different. I remember Mrs Tutten and her daughter Lillian.